Anthony was born in Puerto Plata, Dominican Republic and grew up in the community of Nuevo Renacer. While working on a cruise ship, as well as an English teacher at a local school in Puerto Plata, Anthony met the love of his life, Yolaini, asked her to marry him, and now they, their baby boy, Jacob, and Anthony’s older son, Junior, live in the countryside. 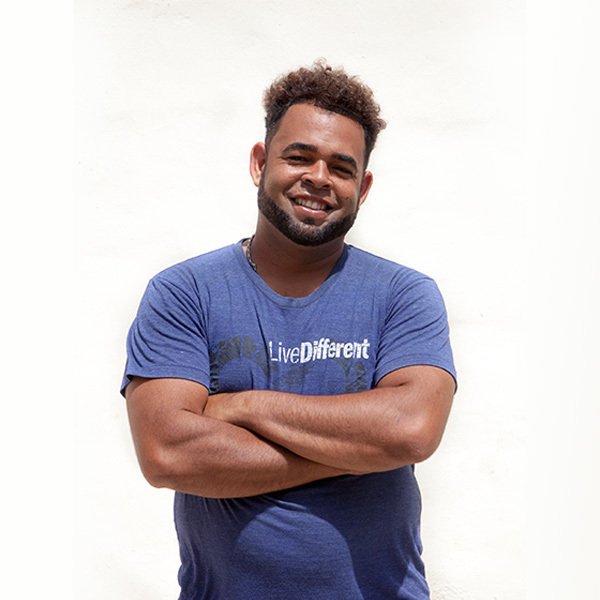 Anthony got to know Live Different’s staff and volunteers during their first few years partnering with his community and eventually expressed interest in getting involved and providing translating services. These days, volunteers often describe him as funny, easy going, and friendly. Anthony was born to make people laugh, adding humour and a definite fun factor to our build sites. He loves playing baseball for his community team and he and Yolaini enjoy dancing so much they even teach classes. What he likes the most about working with Live Different is that it provides him the opportunity to interact with volunteers from all across Canada. Anthony loves sharing about his country’s history and culture and considers it a privilege and honour to help change people’s lives through the work we do together.